A brief account of today’s Autism Awarenss event at King’s Lynn Library, with some photographs. Today at 1PM there was a gathering at King’s Lynn Library for World Autism Awareness Day, in which we talked to the library about things they could do to make themselves more accessible to autistic people and in which we got details of an autism friendly youth group that they are starting. As well as ourselves and library staff a young woman from SCIOPE was also present. Obviously awareness is necessary, but it should not be thought of as a goal or an endpoint – to borrow from a famous quote it is at most the end of the beginning. To be of real value it needs to proceed to acceptance, understanding of our needs and appreciation of our strengths. The library staff seem genuinely committed to helping autistic people, and they listened to all our comments. There was talk of autism friendly hours in the evening, which I think would be an excellent idea. My cards – one of the library staff accepted one. I was able to photograph various pictures on the wall. The autism related diksplay in the entrance foyer. A rear view of the library. A shot showing the war memorial and the library. An introduction to Autism Acceptance Month/ Autism Appreciation Month and a few photographs. Officially April is designated Autism Awareness Month. In this post I will give my view as to why this designation should be rejected and what the alternative, as articulated by autistic people should be. Firstly the notion of ‘Autism Awareness’ is tainted by the mere fact of who the main organisation pushing it are, who I will not name here. Suffice to say that their many misdeeds include being responsible for the video nasty “I Am Autism”, and that they are associated with the colour blue and with the puzzle piece symbol. I am glad that I am separated from them by the width of an ocean! Understanding of autism is merely a good starting point (and there are ton of places where you can find autistic people writing about autism, some which I shall list later). It needs to lead to acceptance of us for who we are, appreciation of our good points and respect for us as human beings. This list is not (never in the proverbial million years) exhaustive, but it gives you some good pointers. Eve Reiland at Internationalbadassactivists provides huge numbers of links to important pieces about Autism. The Neurodivergent Rebel is a great source of information. Meesh at stimtheline has produced some great stuff. Fire Bright Star Soul, written by an autistic woman who also has an autistic child. Autism Mom who writes about her experiences of life with her autistic son, The Navigator. 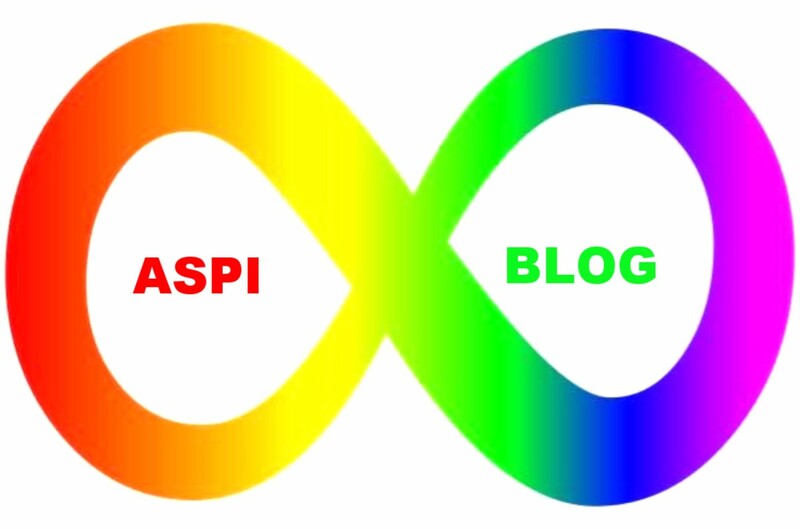 Actually Autistic Blogs List – exactly what it says on the tin. My final blog post about the Anna Kennedy Autism Expo. Welcome to the fifth and final installment in my Autism Events series, concluding my account of the Anna Kennedy Autism Expo a week ago yesterday (still to come are some related posts on my London transport themed website and a page on this site bringing everything together). This one was slightly problematic for me, although I welcome another autistic person being given the opportunity to speak. The biggest problem I had lay in his comments about vaccines, which I found particularly hard to stomach given that since he is autistic there is an obvious genetic component to his son’s autism. This talk did not inspire as much as I had hoped, and a week on I do not feel any happier about it. This was a wonderful talk by Lyndsey Barrett, a former netball international (she had a very serious illness which nearly killed her, but is now back playing netball to a good level although she has not yet been recalled by England) and founder of the eponymous Sport for Confidence. The final talk was from one of the people from Green Board Games (see my first post about this event for more) and although I was very tired by this stage of the day I thoroughly enjoyed it. Leaving the event I headed back to Uxbridge station, and got a Metropolitan line train into London, arriving at King’s Cross in good time to catch the 18:44, arriving into King’s Lynn at 20:22. Here are a few pics from the return journey, although the battery in my camera was running on fumes by that stage of the day. This footbridge is at Hillingdon, one stop out from Uxbridge. The station building at Rayners Lane, which functions as a bridge between the platforms as well is one Charles Holden’s most famous. Chiltern Railways, with which the Metropolitan is closely integrated. Chiltern Railways‘ historical predecessor, the Great Central railway was a creation of Sir Edward Watkin, who also ;played a massive role in the Metropolitan’s history. This train is at Harow-on-the-Hill. A distant view of Wembley Stadium. Takes my story of the Anna Kennedy Autism Expo up to the end of the first of the talks that I attended. This post will cover the remainder of the stalls at the event and the first of the talks that I attended. Yes folks – a whole stall devoted to selling fidget/stim toys. Paul is autistic himself, and his talk was both informative and inspiring. Notice that as with the Autism Anglia event in Norwich this event gave autistic voices lots of opportunity to be heard. Here are some pictures from this talk. Because of the shape of the meeting room it was equipped with two big screens, one for each half of it. Paul’s talk on the screen. Paul ready to start his talk, while event organiser Anna Kennedy watches from the corner. She kept all the speakers informed as to how they were doing timewise. Although I choose when using such descriptions to refer to myself as an autistic person, with ‘person’ coming after ‘autistic’ I am with Paul in asserting my personhood. The second in my series of posts about Autism events I have attended recently. This cupola caught my attention. This elephant is a legacy from what was once a Norwich display of the creatures. This was a very interesting session and I went to lunch in good spirits. The lunch was excellent – decent sandwiches, crisps and a drink. Then I had one more session to attend. One of the things contained in the packs we were each given on arrival at the venue was a feedback form. I filled mine in after this last talk, and suffice to say it was all positive. As I was staying in Norwich for an evening meeting I then decamped to the Millennium Library, very close to the theatre, to unwind for a bit, and prepare myself for the evening. All in all this was a very positive experience, and I left the event in a very good (if tired) frame of mind. The first in a series of posts about a couple of autism events that I ahve attemded recently. Thursday daytime: Autism Anglia information sharing event at the Theatre Royal, Norwich. Friday evening: supper at my aunt’s house. I hope that the above makes it clear why I am only just starting this series of posts and why I still have a large number of photos from the last few days to edit. The bus ran a bit late, which meant that I arrived at the venue later than I would have liked. However, I was in time to get into the first talk I had booked for, Alan Bicknell of Autism Anglia talking about “The Uniqueness of Autism”. I impressed the speaker with three useful interventions – first up responsing to his request for a ‘guess’ as to how many people in the UK were likely to be on the autistic spectrum. I reasoned in Holmesian fashion that given the UK’s overall population and the popularly reckoned instance of autism being 1 in 68 the figure was likely to be somewhere in the region of 1,000,000. I was in the right ball park, with the speaker’s own reckoning being somewhere in the region of 800,000. My second intervention was to identify the author of the the ‘Thomas the Tank Engine‘ stories (Reverend W Awdry – his son Christopher continuing the family tradition). My third and final intervention was in response to his question “Can we all be a little bit autistic?” To which I said a very firm no, and backed this up when asked to expand on that answer by stating that ‘we are all a little bit autistic’ cheapens and demeans the very real difficulties faced by those of who are #actuallyautistic. He thanked me for making those points, and subsequently when I spoke to him after the talk he again thanked me for my contributions. Ms Hutchings is autistic herself, and her talk was based around her own life and experiences, before focussing on educating autistic people. This was in the same venue as the first talk I had booked to attend. Sian’s talk was absolutely amazing, and although the photographs with which I end this post give you some basic idea of it, you really had to be there to hear it. These big screens look a lot like giant Ipads, and as I saw when one speaker poked the screen in making a point they also work a bit like giant Ipads – he was a bit discombobulated when the next slide appeared early. Their size is not the only thing about this screens the connects them to giants!